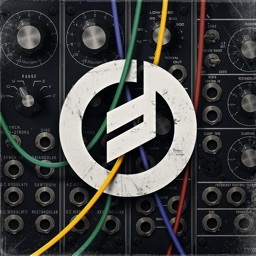 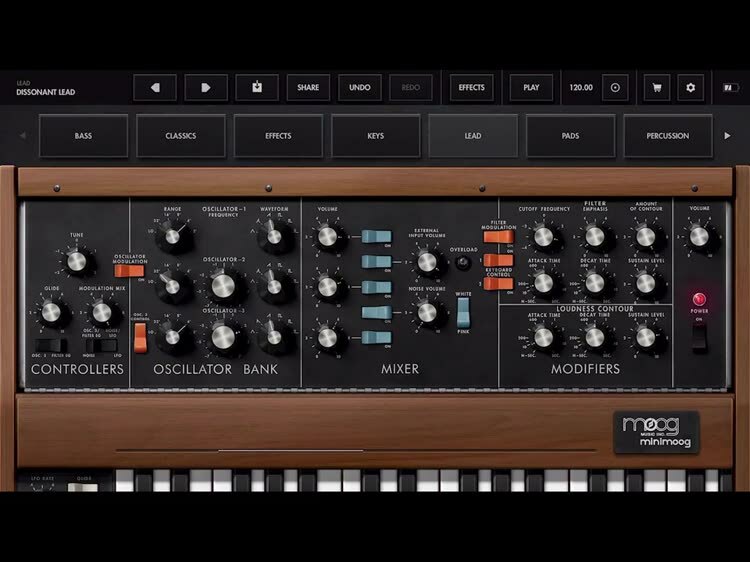 Minimoog Model D by Moog Music Inc. 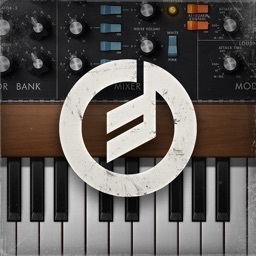 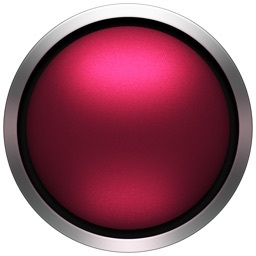 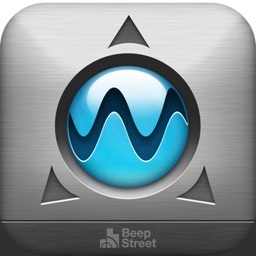 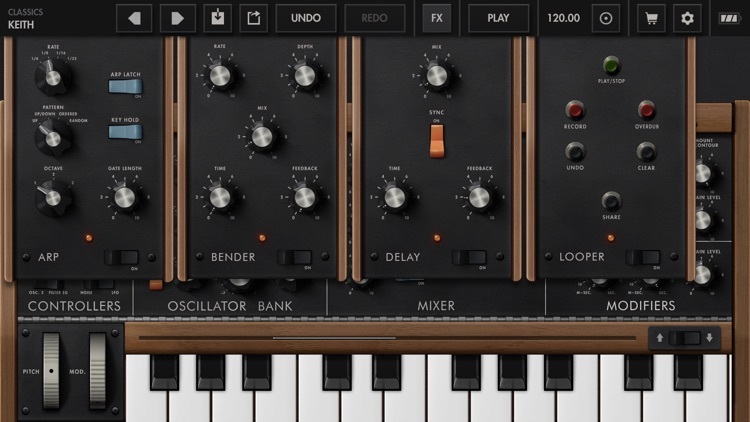 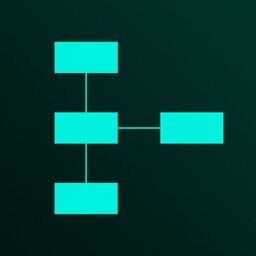 The Minimoog Model D App is a mobile transmutation of the world’s first portable synthesizer, the Minimoog Model D. Optimized for use on all 64-bit iOS devices, anyone can jump in and play with over 160 included presets. 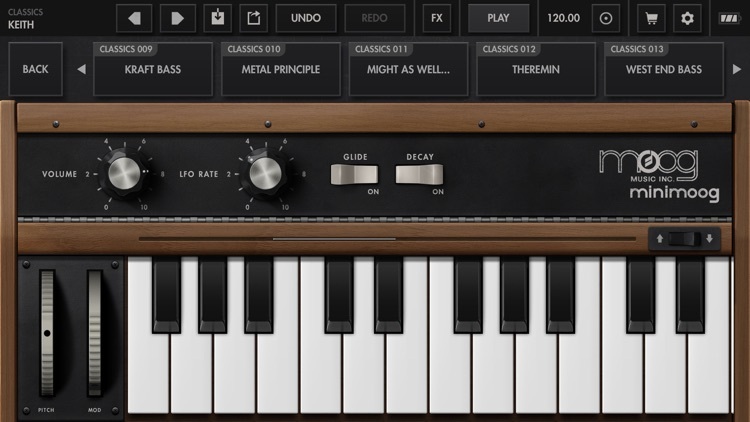 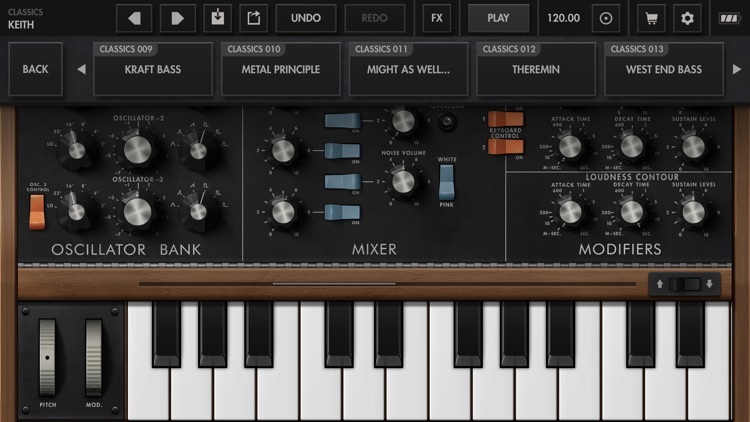 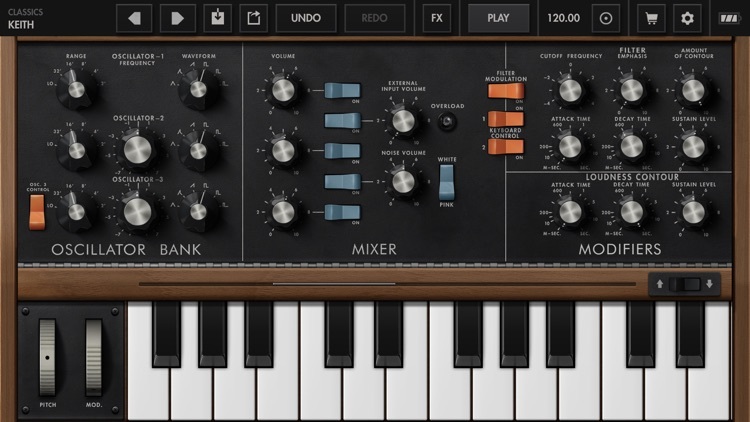 Taking full advantage of the iOS platform, the Minimoog Model D App incorporates a number of inspiring sound creation tools and capabilities not present on its analog antecedent. 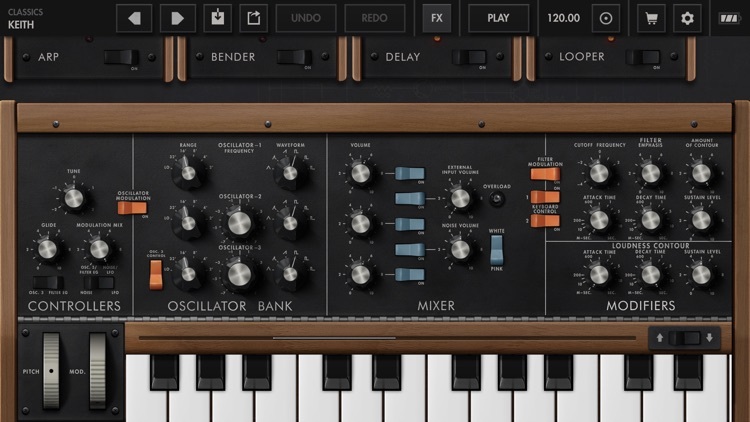 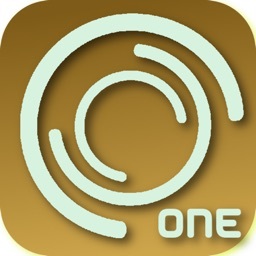 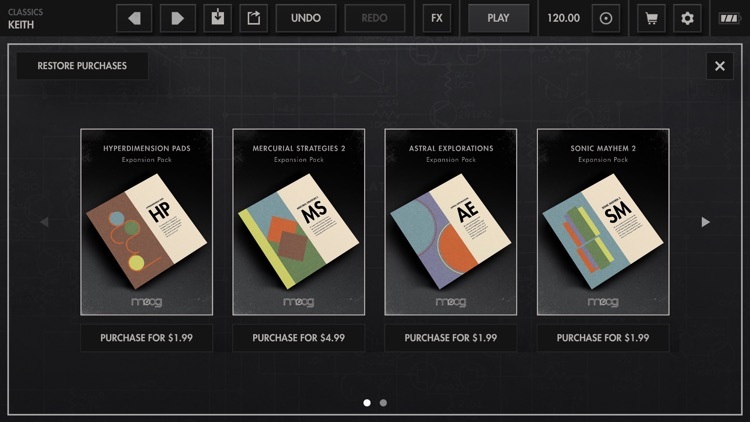 New functions include the ability to play chords with up to four-note polyphony, an easy-to-use arpeggiator for rhythmic pattern creation, a real time looping recorder with unlimited overdubbing capacity, a tempo-synchronizable stereo ping pong delay module, and the Bender -- a wide-range stereo time modulation effect module.